Over the years, the Laser has advanced the entire field of health care. This technology has long been embraced by the medical community because of the ability to control these concentrated light beams with pinpoint accuracy, resulting in minimal tissue damage, less pain and discomfort, and much faster healing and recovery times. 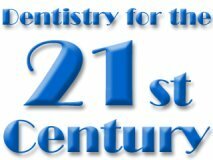 Because of their advantages, the dental versions of these amazing tools are now used in numerous procedures, including oral hygiene, tooth fillings, root canal therapies and oral surgery; and they also have the ability to clean and disinfect treated areas better than any other conventional dental techniques. Laser Dental therapies have also been shown to be able to help in preserving and protecting the mouth's all-important "Oral Immune System." These are just some of the features that make lasers so attractive and desirable for use in dental treatments. Many of these therapies have been developed and used for years at our Laser Dental Wellness Center located in Fullerton, California. Laser Dental Centers of America will be dedicated to removing the fear, pain, and discomfort associated with conventional dentistry; bringing this advanced, more efficient and patient-friendly dental technology to the forefront; and making it available to millions of Americans all over the country. Explore the site further to see the benefits of laser technology in dentistry, as well as our plans for future Laser Dental Centers, and how you can become involved in this great"Dental Revolution."